When it comes to creating the best finish, stray dust particles and airborne contaminants are pure poison. Using sub-standard air filters and paint overspray filters will lead to a dirtier paint booth environment, and ultimately lead to unwanted blemishes in the finish. So whether painting automobiles or furniture, it is tremendously important to use the proper filters. 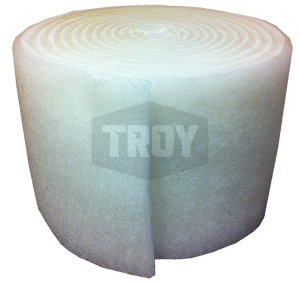 At Troy, we offer the finest paint filtration products in the world, and aren't afraid to say it. Ceiling diffusion media filters, intake filters, exhaust filters, floor media, or overspray filters; the cost of using inferior air filters in your spray booth is something no one can afford. View our products here, or contact us for more information.